We are pleased to announce that Springs at Bee Ridge is now stabilized. 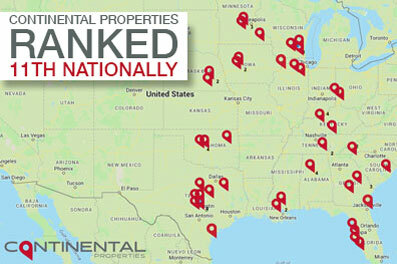 Continental Properties was named 19th nationally as the Best Places to Work in Multifamily™. 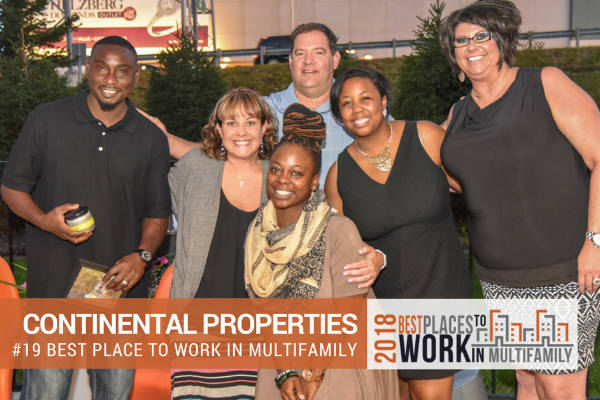 The annual list of “Best Places to Work” was published by Multifamily Leadership. We are pleased to announce that Springs at Six Mile Cypress is now stabilized. As Continental continues to grow, achievements mount across our portfolio, and two important milestones were hit this past week. 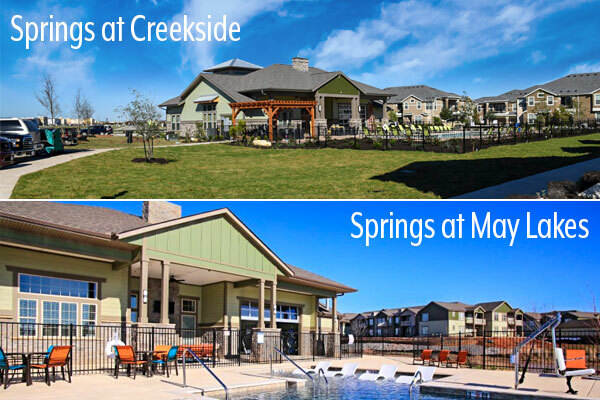 Springs at Creekside in New Braunfels, TX and Springs at May Lakes in Oklahoma City, OK both reached stabilized occupancy. 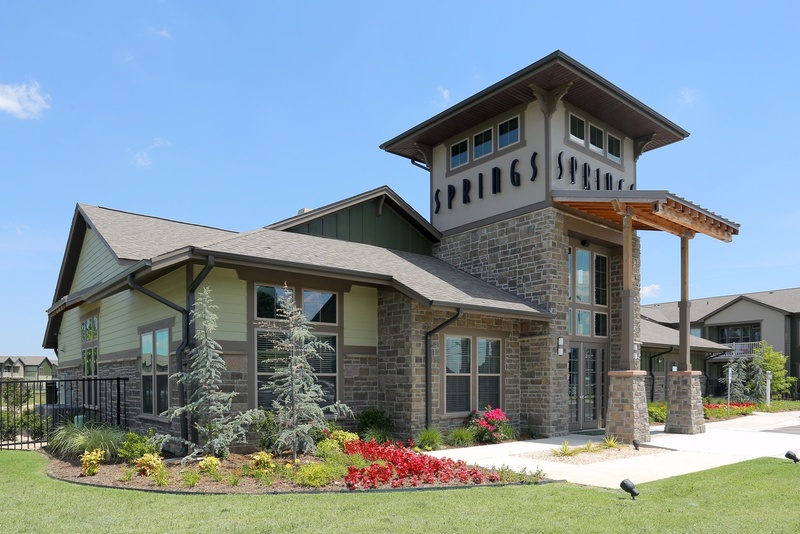 Springs at Woodlands South in Tulsa reached its occupancy and prelease goals on March 31 and is now stabilized. Our success at Springs at Woodlands South is a true team effort. However, two individuals deserve specific recognition. I am pleased to announce Springs at Fremaux Town Center has achieved stabilization, our first Springs community in the state of Louisiana. 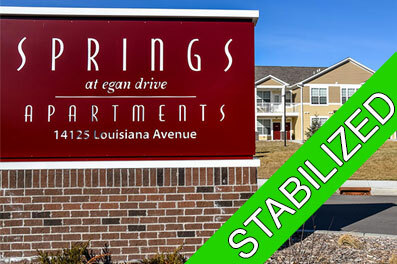 We recently hit 95% occupancy at Springs at Egan Drive in Savage, MN. 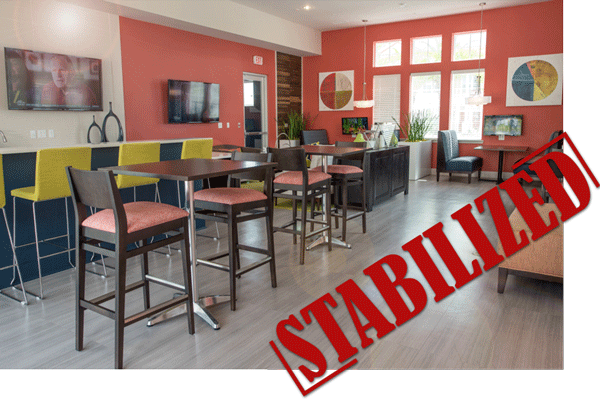 Because we are confident that we can hold that occupancy for the foreseeable future, we are happy to announce that Springs at Egan Drive is stabilized. 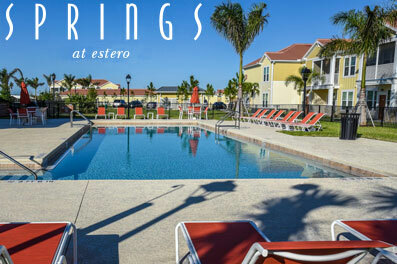 We are pleased to announce the stabilization of Springs at Estero. 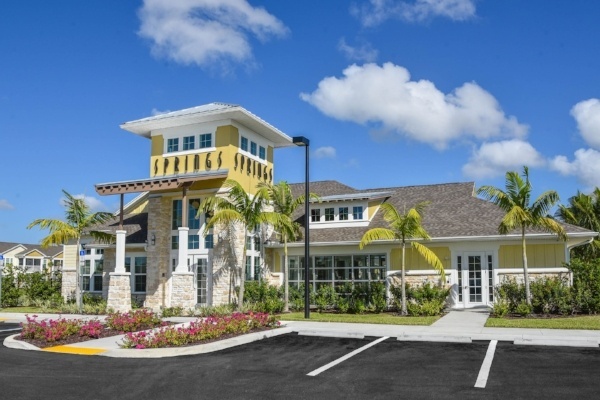 Late last week our team achieved 94% occupancy, and we are projected to hold occupancy in the mid-90s going forward. 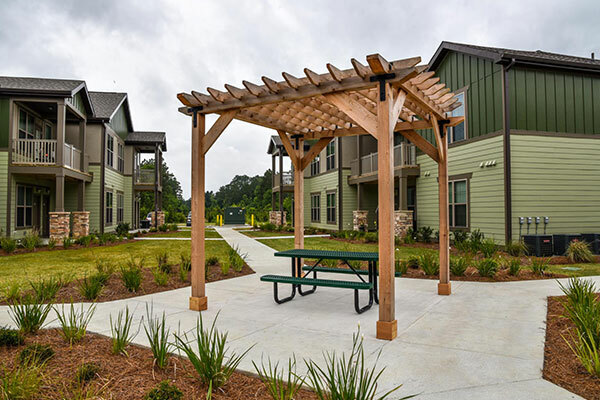 The National Multifamily Housing Council (NMHC) is the premier organization representing the nation's apartment industry by political action and public relations. It is also a massive collector of industry data, and they recently published a list that caught our attention: the 25 Largest Apartment Developers in the U.S.
May 20 was a fun and fabulous Friday in Apple Valley, MN as Springs at Apple Valley welcomed the first residents to our community!